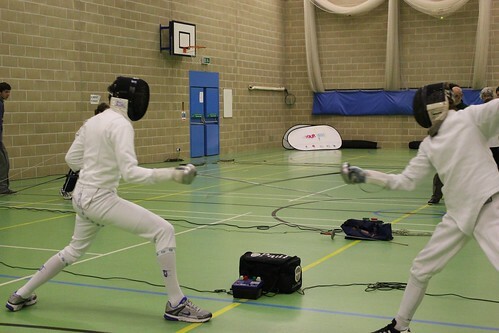 Sway Fencing club along with some other clubs from across the New Forest, and Isle of Wight held the first ever New Forest Novices fencing competition today. We had a great turn out for all three weapons for the juniors, and the senior foil was also well represented. We had quite a few less for the senior epee though, but never the less got the pools running towards the end of the day. In my first ever competition, I managed to take second place, which I'm very happy with. While we didn't get any photo's of my final round, this is one from the pools, oh and I'm on the left.